The top commander of U.S. forces in Afghanistan said Thursday they would respect a week-long ceasefire with the Taliban in honor of Eid. The holiday marks the end of Ramadan fasting and a ceasefire was called for by Afghanistan’s president Ashraf Ghani. US forces needed to further suppress militant groups, realize Afghan gains, Nicholson said. “We will adhere to the wishes of Afghanistan for the country to enjoy a peaceful end to the Islamic holy month of Ramadan, and support the search for an end to the conflict,” said Gen. John Nicholson, U.S. Forces-Afghanistan and the NATO-led Resolute Support commander. The holiday would run from about June 12 through June 19. However, the ceasefire does not include U.S. counterterrorism operations in Afghanistan against the Islamic State or other terror groups, Nicholson said. 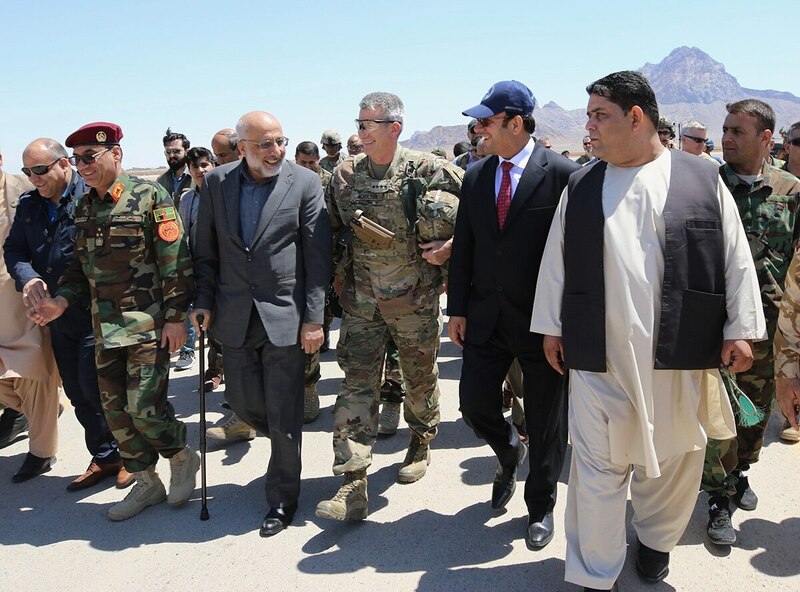 The U.S. decision came after Ghani said he would follow the decree of 3,000 Afghan religious scholars, the Ulema, calling for a cessation of hostilities between the Afghan government and the Taliban during the holiday. The development seems welcomed by many Afghanistan policy experts. “I endorse this tweet by my former colleague,” Barnett Rubin, a leading expert on Afghanistan and South Asia at New York University, said in a message to Military Times. 5/ Even if the US rigorously adheres to this brief cease fire, the Taliban will still (reasonably) doubt Government of Afghanistan control. If the US is cute about adherence, the Taliban will be entirely, maybe permanently convinced of the pointlessness of negotiating with Kabul. Blanc explained over Twitter that the Afghan government has always insisted the Taliban negotiate directly with them. Meanwhile, the Taliban have always insisted that negotiations should first start between the Taliban and the United States — as it is international forces that do the most damage to Taliban fighters. Regardless of where the peace process starts, it must include the United States in some way, according to Blanc.